Do you have trouble sleeping, have headaches or an irritable bowel? Are you low in energy and are you frequently catching colds and viruses? You could be stressed. We have all heard the word “stress” and have probably even described ourselves as stressed at some point in our lives. Personally, I hear it from someone at least every week – from clients describing their symptoms to friends’ posts on social media. We are surrounded by stress – mothers explaining they are stressed out with the children, bosses complaining they are stressed at work, people distressed from a relationship or family life under stress. 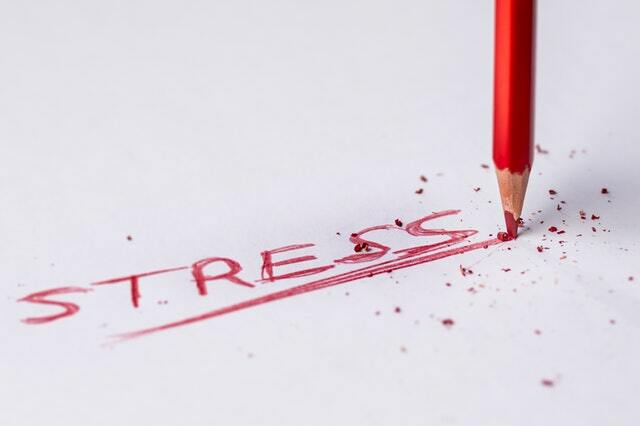 The word itself, ‘stress’, carries negative connotations and there are many causes of stress. Everyone has different stress triggers but some typical major causes of stress can be bereavement, family break-ups and divorce, financial problems and illness or injury. You might have a general idea of what you think stress is but a lot of people don’t realise the impact stress can have on our physical and mental health. Stress manifests differently in a lot of people and symptoms can range from constipation and bowel issues to general aches and pains. But beneath the surface chronic stress can be doing even more damage. Under stress our body reacts as being under attack and switches to ‘fight or flight’ mode. Fight or flight is actually a response we have brought on by stress hormones, namely, cortisol, adrenaline, and norepinephrine. Adrenaline causes your heart to beat faster and raises blood pressure. Cortisol can interfere with the function of the inner lining of your blood vessels that can cause plaque build up in your arteries. This increases your risk of heart disease and stroke. Norepinephrine is similar to adrenaline and increases blood pressure and blood glucose. Chronic stress often results in high blood pressure and heart diseases as well as weight gain too, but this isn’t all. It interferes with your entire immune system so your body struggles to do the job of keeping you protected and healthy. Chronic stress even causes epigenetic changes. For those you who haven’t heard of epigenetics, it is the ability of the DNA to change itself and how it is expressed, but that is for another blog post. Stress triggers systemic inflammation that is the culprit for various chronic diseases such as colitis. Scientists and researchers are finding out more about our bodies all the time and we now know that our gut and brain are in constant communication. More and more studies are being conducted and they are showing a strong link between gut and brain. You may have noticed in the news that more emphasis and attention is being given to diet to treat depressive and mental health illnesses. This is in response to this new found evidence about the gut and brain link. In this day and age we know that stress is unavoidable so we need to find ways to prevent it to become chronic. These are just some of the areas I can look at to treat someone suffering with chronic stress. Most importantly, I start peeling off the layers to get to the root cause. Please contact me at Barbara@equilibriumvitae.net if you want to discuss any particular issue.